The night sky constantly captures the sight, the cold twinkling of the stars fills the Soul with the sensation of the immensity of the surrounding space. The arrangement of stars in the sky form characteristic figures. Such clusters are called constellations. People always look at the stars for a long time, trying to unravel the mystery of their cosmic origin. They want to find among the constellations those that were once read or heard. Twelve of the celestial figures are constellations of the signs of the zodiac. Each of them is connected with legends and myths of ancient peoples, telling about its discovery and explaining its name. The zodiac is a certain zone of the sky, along which some planets move, the Moon and the Sun, bypassing 12 constellations on their way. Since they are located in the zodiacal field, they got their name — the constellation of the zodiac. Each of them in ancient astrology was designated or accompanied by a symbol, which is called the sign of the zodiac. The sun for a year bypasses a large circle of the celestial sphere. This circle (called the zodiac, only 360 degrees) is divided into 12 sectors of 30 degrees, which received their name by the name of the constellations, which pass the sun on its way. Each month corresponds to the sign of the zodiac, according to which in this month the Sun makes its movement. Once upon a time the constellations of the zodiac signs served as a calendar for people, since in each of them the Sun traveled for about a month. But since the point of the vernal equinox is constantly moving (by 1° to 70 years), the Sun in our days for one month moves not one by one, but by two nearby constellations, but the signs that existed earlier for months have survived. According to the constellation of the Virgin the Sun moves for the longest time — 44 days, and the constellation of Scorpio the Sun passes for 6 days. In fairness, it should be noted that the Sun between 30 November and 18 December is another cluster of stars — Ophiuchus, but historically it was believed that he did not get a month, and he was not included in the constellation of the signs of the zodiac. Aries Zodiac Sign Dates: March 21 – April 20. Sun in Aries Constellation: 19 April – 13 May. 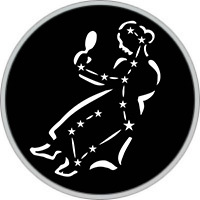 The beginning of the horoscope in Western astrology begins precisely with this sign, since two millennia ago the point of the spring equinox was in this constellation. The next time this point will be in this sign only after 24 thousand years. The constellation looks like a tick with rounded edges. In fact, it is the lamb’s horns with which many legends are associated in mythology. One of the myths tells how Aries saves Frix and Gella, two children who, according to the order of Ino’s wicked stepmother, must be sacrificed. The fate of the children has developed in different ways, but the memory of the golden lamb has always been preserved by the starry sky. 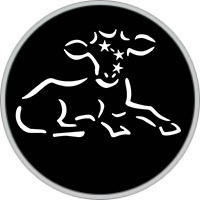 Taurus Zodiac Sign Dates: April 21 – May 21. Sun in Taurus Constellation: 14 May – 19 June. Speaking about the constellation of Taurus, it should be noted that among the ancient peoples it symbolized the beginning of the year, the spring revival of natural forces. The fact is that in the life of ancient people a huge role-played cattle breeding, with the bull (calf) tied exactly the constellation that appeared in the spring sky as the first sign of the approach of heat. In many ancient cultures, worship of a bull is known. In ancient Egypt, the people worshiped the sacred bull Apis, in the Cretan mythology there was the Minotaur, and the heroes of Hellas also pacified bulls. We all remember from childhood about the Argonauts who obtained the golden fleece of ram (Aries). That is why it is absolutely not surprising to find in the sky and the constellation of Aries, as well as the constellations Kiel, Kormu and Parus, constituting the main part of the constellation of the ship on which the Argonauts set out for Colchis. Gemini Zodiac Sign Dates: May 22 – June 21. Sun in Gemini Constellation: 20 June – 20 July. The constellation Gemini is named for the Argonauts of Dioscuri — Castor and Pollux — the sons of Zeus and Leda. In the constellation there are two bright and very close to each other stars. The brothers Dioscuri were considered patrons of sailors caught in a storm. Once the Dioscuri did not share the prey with their cousins, the giants Idas and Linke. In the battle with them, the brothers suffered greatly. When Castor died of his wounds, Pollux did not want to part with him and asked his father not to separate them. Since then, thanks to Zeus, the brothers spend half a year in the realm of gloomy Aida, and six months in the rays of Olympus. There are periods when, on the same day, Castor’s star is visible against the backdrop of the morning dawn, and Pollux is the evening one. Perhaps, it is this circumstance that gave rise to the birth of the legend of the brothers, who now dwell in the realm of the dead, then in heaven. 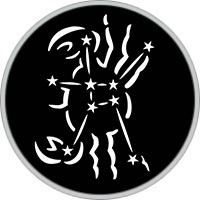 Cancer Zodiac Sign Dates: June 22 – July 22. Sun in Cancer Constellation: 21 July – 9 August. The constellation of Cancer is one of the most unobtrusive constellations in the sky. Two thousand years ago, according to this constellation, people learned to determine the period of the summer solstice — the longest light day. The sun, reaching at this time of extreme removal to the north, began to back off, and after that the duration of the day began to decrease. According to the ancient Greek myths, Hercules, to become immortal, performed 12 exploits. His second feat is connected with the victory over the Lerney hydra, which abducted cattle and devastated the land in the vicinity of Lerna. During the struggle of Hercules with the hydra, Karkin crawled out to help her, a huge cancer that grabbed Hercules’ leg. The athlete crushed an arthropod, but Hera, who did not like Hercules, placed Cancer in the sky. Leo Zodiac Sign Dates: July 23 – August 23. Sun in Leo Constellation: 10 August – 15 September. The constellation of Leo is also associated with the summer solstice. It began to orientate about 4,5 thousand years ago, determining that it is in this constellation is the point of the summer solstice and the hottest time of the year. That is why many people have the Leo as a symbol of fire. In ancient Mesopotamia, the people called the constellation of Leo a great fire, and some other peoples connected this animal with infernal heat. They believed that the Sun gets additional strength and heat, being among the stars of Leo. Virgo Zodiac Sign Dates: August 24 – September 22. Sun in Virgo Constellation: 16 September – 30 October. The constellation of the Virgo is next to the constellation of Leo. The combination of these two constellations personifies the Sphinx — a mythical creature with a woman’s head and a lion’s body. Depending on the mythological representations of Virgo, the most often identified with Themis — the goddess of justice, Astrea — the goddess of justice, Rhea — the oldest goddess of Greek mythology, the mother of the gods. According to ancient Greek mythology, Astrea lived among the people of the golden age, but the world deteriorated and immorality began to flourish among people. Astrea, so as not to see this horror ascended to heaven, becoming the constellation of the Virgo. On the surviving images, the goddess holds in her hands the baton of Mercury and the back (in translation from the Latin "ear"). 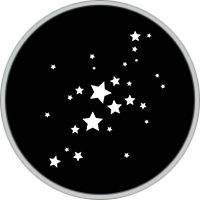 Speka is the brightest star of the constellation, indicating the beginning of agricultural work. 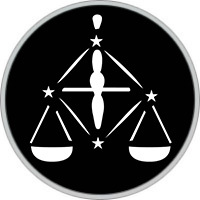 Libra Zodiac Sign Dates: September 23 – October 23. Sun in Libra Constellation: October 31 – November 22. The Libra is a symbol of balance. In this constellation, most likely, was the point of the autumnal equinox, when in nature the equality of day and night arose. The appearance of Libra in the middle latitudes in the sky indicated to the farmers that it was time to sow, to the ancient Egyptians it was like harvesting the first fall harvest, to other farmers — about weighing the collected gifts of nature. According to one of the Greek myths Astrea, with the help of scales, she administered justice: weighed the fate of people, assessed their actions, and then punished liars, deceivers and criminals. Zeus decided that the Libra daughter should be placed in heaven, so that they were an eternal reminder to people about the need to comply with the laws. Scorpio Zodiac Sign Dates: October 24 – November 22. Sun in Scorpio Constellation: November 23 – November 29. Scorpio is a constellation of late autumn and it really looks like it is a poisonous animal. With the advent of autumn, nature seems to die, but, like the god Dionysus, she is again ready to awaken in the early spring. According to another legend, Scorpio stung the Sun, after which the luminary became weak, pale and "ached" throughout the whole winter. 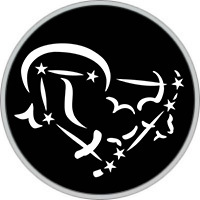 Sagittarius Zodiac Sign Dates: November 23 – December 21. Sun in Sagittarius Constellation: 18 December – 19 January. In the constellation of Sagittarius, the Sun is in the winter, so it symbolizes the end of the old and new year. Sagittarius is always depicted with two faces, while one of the faces is drawn to the past, the other — to the future. According to the ancient Greek myth, the wise centaur Chiron created a model of the celestial sphere and took one place for himself in the Zodiac. 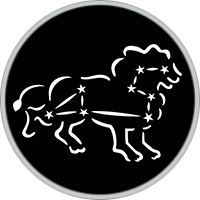 But the insidious centaur Krotos deceived Chiron and turned into a constellation of Sagittarius. Mighty Zeus turned Chiron after death into the constellation Centaur. 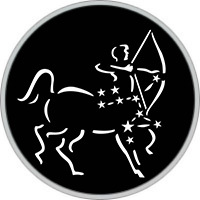 Therefore, among the constellations, you can find two centaurs, but one of them, namely Sagittarius, is scared even of Scorpio, since it is looking at the point of the arrow directed by the former Crotos. It should be noted that through the constellation of Sagittarius passes the Milky Way — the heart of our Galaxy. Capricorn Zodiac Sign Dates: December 22 – January 20. 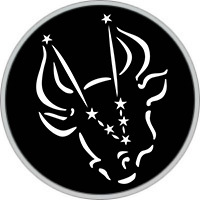 Sun in Capricorn Constellation: January 20 – February 15. Capricorn is a mythical being, which is depicted with the head and body of a goat and with the tail of a fish. Goat-footed god Pan, god of flocks, fields and woods, frightened Hundred Chapters of the giant Typhon and horror into the water. Since then, he grew up a fish tail, and later Zeus transformed him into the constellation of Capricorn, which became the ruler of water and a harbinger of storms. In the ancient world it was believed that it was Capricorn who sent heavy rains to the earth. In the constellation of Capricorn about 2 thousand years ago was the point of the winter solstice. The ancient philosopher Macrobius believed that the Sun, having passed the lowest point, begins to climb upwards, like a mountain goat, aspiring to the summit. 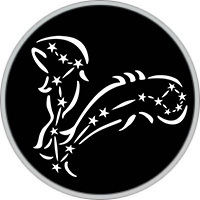 Aquarius Zodiac Sign Dates: January 21 – February 18. Sun in Aquarius Constellation: 16 February – 11 March. 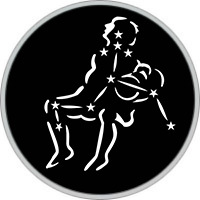 With the constellation of Aquarius, the Greek myth of Deucalion, the progenitor of people and his wife Pirre is connected. In ancient times, Zeus, angry at humanity, sent a flood to the earth. The only righteous, Deucalion and Pirre, Zeus allowed to escape. On the advice of Prometheus, Deucalion built a large box (the ark) on which the spouses were saved during the nine-day flood. In Egypt, the constellation of Aquarius was observed in the sky as the water level in the Nile increased. The Egyptians believed that during this period the god of water Kneem pours a huge bucket of water into the channel of the Nile, and the tributaries of the Nile — the White and the Blue Nile — flow out of the vessels of the god. Pisces Zodiac Sign Dates: February 19 – March 20. Sun in Pisces Constellation: 12 March – 18 April. The constellation of Pisces closes the zodiacal circle. 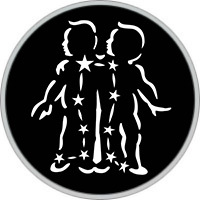 In the stars of the constellation, the outline of two fish connected by a ribbon is indeed revealed. The name of the constellation, apparently, takes its roots from Phoenician mythology. The goddess of fertility was portrayed as a woman with a fish tail. Fishing was the main occupation of the people, and a period of particularly rich fishing was when the Sun entered the constellation of Pisces. In the names of the constellations discovered in the XVII-XVIII centuries, you do not already find classical mythological names, they more reflect the fantasies of their creators and have various names: Telescope, Compass, Compass, Pump, Altar, Lizard, Unicorn, Fly, Giraffe. 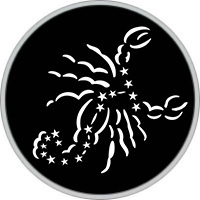 Some names of the constellations (the Southern Cross, the South Triangle, the Dolphin, the Indian, the Peacock, the Flying Fish) reflect the era of geographical discoveries. Centuries and millennia will pass, rulers and social structures will change, but the names of the constellations will remain unchanged. In the atlas of the starry sky, people of the future will meet the same names as their predecessors many millennia ago.